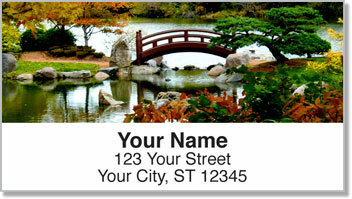 The romance and magic of a peaceful stroll through the countryside is captured on these original address labels. 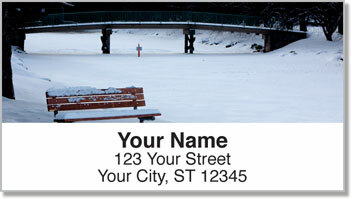 Scenic photography of quaint bridges in all four seasons will add a charming finishing touch to every letter and package. When you use them, you'll be reminded of times you paused on a bridge over a babbling brook and simply enjoyed the moment. 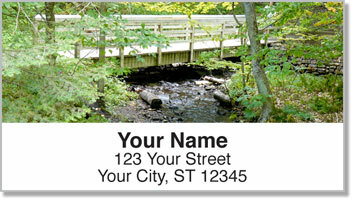 Footbridge Address Labels from CheckAdvantage are an attractive time-saving tool. You'll eliminate the need to write your return address on every envelope while sending a little beauty out with your mail. 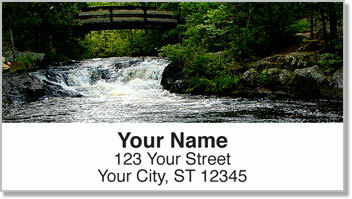 Get your very own Footbridge Address Labels today! You can also order this selection as a set of matching personal checks.